Growing up in the 90s, it seemed like no music really dominated the decade. There was the alternative rock scene, consisting of bands like Nirvana, Alice and Chains, and Stone Temple Pilots. While alternative music often dominated my CD player, rap was also a fixture in my car, as my friends and I often spent our Friday and Saturday nights cruising up and down Lindbergh Blvd. The rap music of today has nothing on the 90s. In my view, the 90s was a great decade for music all around. I frequently tell my students, who are big fans of Lil Wayne, that today’s rappers wouldn’t have stood a chance against the rappers from the 90s. I mean, do you really think Tupac or Notorious B.I.G would have tolerated Lil Wayne? Or, better yet, would Kurt Cobain have associated with Fall Out Boy or the Imagine Dragons? I think not. In that spirit, here are my top 10 favorite albums of the 90s. This was one of the first rock CDs I ever owned. It basically opened my eyes to alternative rock. This was the Pumpkins best album. While some may make an argument for Mellon Collie.., as their best album, I like Siamese Dream because it was not as raw and not as produced as other Pumpkins records. One of the best debut rap albums I have ever heard. Not a bad song on the album. To this day, I can recite all the lyrics in the song “Juicy”. Even though Biggie Smalls released “Life After Death”, a double-disc, this album cemented his legacy as one of the greatest rappers of all time. I was in 7th grade when this album came out. At first listen I didn’t like it, but the older I got, the more I appreciated this album. It grew on me. 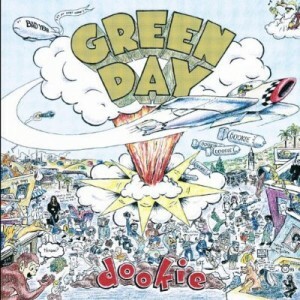 Green Day may have won Grammy’s with “American Idiot”, but Dookie is a classic in the eyes of most of their fans from the 90s.